R170.00 Vat Included / pc. Case of Daschbosch Steen consisting of 6 bottles. STYLE ~ Distinctive notes of yellow apple alongside with green melon and lime on the nose. 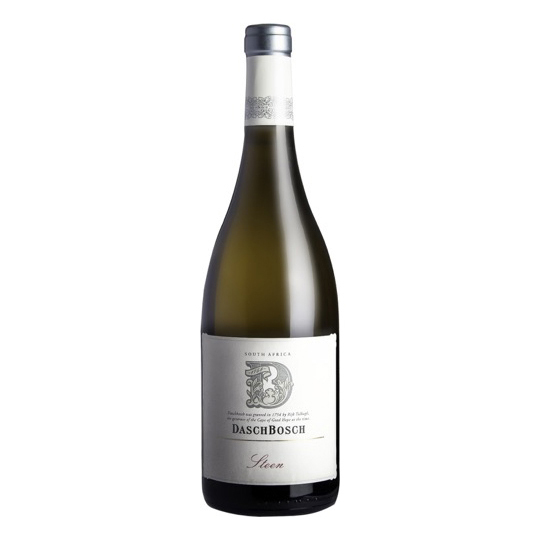 This wine is beautifully structured on the palate, bursting with fresh yellow and white fruit flavours and finishes subtly , yet distinctive. AGEING ~ Ready for immediate enjoyment and for the years to come. • Fermented in 3rd & 4th fill barrels for about three weeks with commercial as well as wild yeast. The wine was left on the thick lees for 6 months & matured in barrel for 8 months.